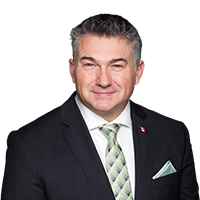 “I wish to congratulate the Ukrainian-Canadian Foundation on securing $1.4 million in funding for their Holodomor National Awareness Tour 2017–2020. The Holodomor National Awareness Tour is a vital educational program which educates Canadians on the Soviet orchestrated famine and genocide in Ukraine, the Holodomor, and highlights the importance of our shared values of freedom, democracy, human rights, and the rule of law. “Our previous Conservative Government provided $1.5 million of funding for the Holodomor National Awareness Tour, recognizing the important role in educating Canadians on one of the worst genocides in human history. I am pleased to see the Liberal government continue our previous Conservative government’s legacy.